We rebounded to have a pretty good week for Week 4. The Cincinnati Bengals pulled off a victory in Atlanta, giving us six points. Unfortunately, we took the points in Cleveland in Oakland and that wound up being a draw as Oakland won by three. In our extra points, we gained one out of three when Green Bay defeated Buffalo. That gave us a total of seven out of 12 possible points last week. This week there’s a number of great games on tap, and we decided that Cincinnati’s going be the top draw this week as well in their battle against Miami. The Miami Dolphins got off to a 3-0 start, then got absolutely destroyed by New England last weekend. The major concern you should have about that game is that the Dolphins got there only points late in the fourth quarter when this contest was all but over. Now they travel to take on Cincinnati, a team that went into Atlanta and one a great 37-36 victory over the Falcons. The Bengals are going to score points. They have scored at least 21 in every contest and have scored at least 34 in three of their four games. These two teams have gone under in three of the last four meetings between them and have gone under in each of the last four in Cincinnati. Miami has gone under in four of their last five games against teams with a winning record and has gone under in 27 of their last 39 on turf. It’s not going to be surprising to see the Dolphins score less than 10 points in this game, so you could be a real winner in going under. Los Angeles is being overlooked for the most part, primarily because they are 2-2. However, those two losses came against two teams, the Kansas City Chiefs and Los Angeles Rams, who are both undefeated at 4-0. This is a quality team which deserves a lot more respect than they are getting. Melvin Gordon is off to a slow start, gaining just 276 yards and two touchdowns through the first four weeks of the season, but this is the kind of matchup where he could have a big afternoon. 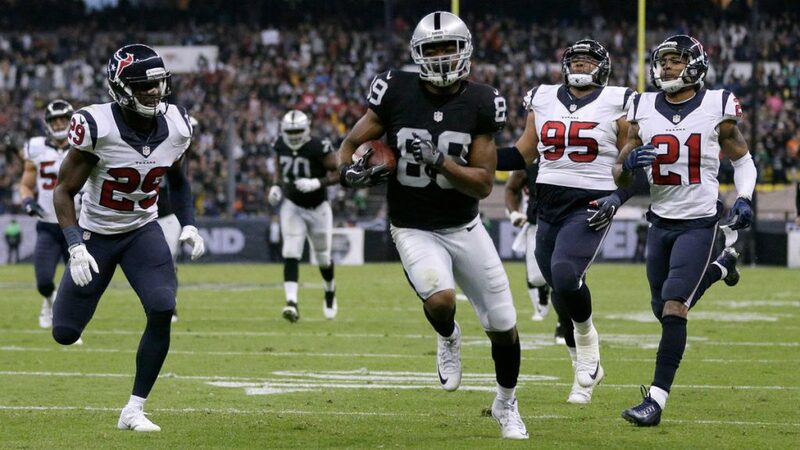 The Raiders have been a mess all season as they narrowly defeated Cleveland last week for their first victory of the season. The duo of Gordon and Philip Rivers should be too much for Oakland in a game the Chargers win by at least 10. The Raiders are 1-4 ATS in the last five meetings between these two teams. One of the most exciting games of the weekend is likely to be when the Green Bay Packers take on the Detroit Lions. While Detroit is 1-3, their last two losses have come by a total of five points. Meanwhile, Packers quarterback Aaron Rodgers seemed a bit miffed at how the offense performed last weekend and so expect the grant performance from him this week. The total is set at 51 points for this contest, and that really seems on the low-end. It would not be surprising to see these two quarterbacks combined for eight touchdowns in this game. The total has gone over in each of the last five meetings between the two teams and has gone over in four of the last five in Detroit. Another game to pay close attention to is the Minnesota Vikings at the Philadelphia Eagles. Philadelphia is favored by three in this game, but the line we really like is the over/under at 45.0. Minnesota is coming off a game where they scored 31 against the Los Angeles Rams, and Kirk Cousins looks like he is really beginning to gel with this lineup, throwing for over 450 yards. Meanwhile, Carson Wentz threw for 348 yards against Tennessee last weekend, adding two touchdown passes. This contest has the real potential to be a big-time shootout, especially since there has to be a sense of desperation around both teams who were each considered to be Super Bowl contenders. Philadelphia has the ninth-best defense in terms of points allowed (20.2), while Minnesota is 22nd (27.5). Our upset of the week is when the Baltimore Ravens travel to take on the Cleveland Browns. Baltimore is favored by three in this contest, and many are believing that the Ravens may have a Super Bowl run in them. That may be the case, but this Cleveland Browns team is for real. The Browns could very easily be 4-0 this season, as they tied the Steelers, lost to New Orleans by three, and lost to Oakland by three. Baltimore is coming off a gut-wrenching victory over the Pittsburgh Steelers, 26-14, in their clearly has to be some letdown here. They have not faced a defense as good as Cleveland the season and that will be the difference in this game.